Chorizo is a type of Spanish sausage made using pork, peppers and garlic. It’s unique spiciness comes from the paprika, which can be sweet (dulce) or spicy (picante), so make sure you check the label if you can’t stand the heat! 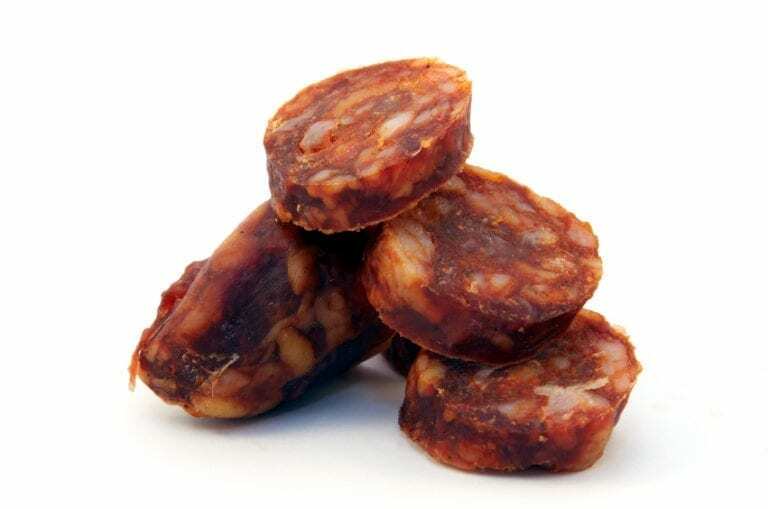 Chorizo sausages are available cured – which can be eaten cooked or uncooked – or raw, which must be cooked. It’s used in a multitude of dishes and is recognisable for its incredibly tasty, slightly salty flavour. Does it really matter how we pronounce the names of food?